Common Gunsense A blog to advocate for sensible gun legislation: Bullets with your eggs? Just when you think you've heard it all, here is something that just doesn't seem possible. Check out this story about a man who shot 5 people and then himself over how his wife cooked his eggs! When a gun is handy, it just may be used. This is so totally senseless that it boggles the imagination. Six people dead over eggs. 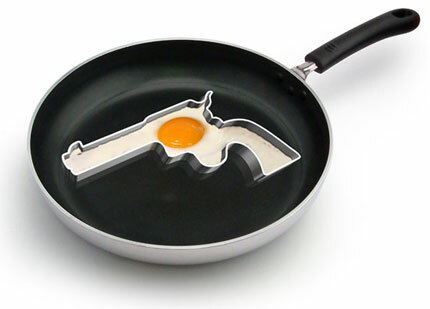 While looking for an image of fried eggs, by the way, I happened upon the one pictured here courtesy of Cowboy's Breakfast- Gun Shaped Fried Egg with Gun Egg Fryer.Yesterday's blog post was providing facts about the causes of murder. 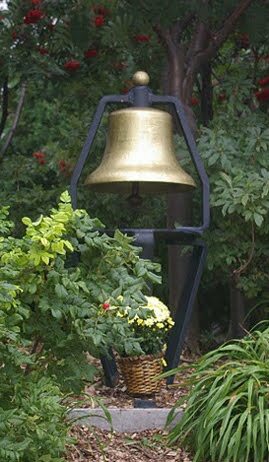 On September 11, 2010, five more were added to the homicide box in several different age categories and one more to the suicide box under firearms as the cause. These are the homicides that get reported in the papers and make it to the AP so they get noticed. On average, 32 people a day are victims of homicide due to a gun. 80 total when suicides and accidental shootings are added. One story does not necessarily make a generalized statement about the entire issue of gun violence. But, when added up, this one, for example, will become part of the statistics for 2010. So, for example, my sister's death was a news story in 1992. By the end of that year, she was a statistic. I am blogging to point out that there are so many stories every day about people being shot to death , that they become part of a national narrative about guns and gun violence. I choose to report the stories to put a human face on them. I'm a bit confused--I thought shotguns were the last guns you guys wanted to take from us? If it is so easy for a gun to turn an argument over something trivial, why do concealed carry license holders have a rate of violent crime so much lower than the rest of America? Yes, I know you can find stories of us screwing up--but can you find a similar sized population that screws up less? You must not be paying attention. Has there ever been a time when I have said I or anyone with whom I work want to take away your guns? Why can't you stop saying that and stop intimating that we want your guns. You know what I have written. You are now in the stage of harrassing and being provacative by continuing to say the same thing in spite of being told dozens of times that it is not true. Move on to another topic. And yes, I could most likely find a similar population of concealed carry permit holders who screw up less. I am not saying all CCW permit holders screw up. I am saying that as more states have the laws and the longer they have been in existence, we are starting to see CCW permit holders screw up. We were told when the laws passed that all would be safer if people were allowed to carry their guns. Really the gun deaths and injuries statistics have changed little since the laws passed. And no, there have not been "shoot 'em up scenarios" on the streets of our communties involving CCW permit holders either as some on my side predicted. I am just pointing out that not all permit holders and not all "law abiding" citizens remain that way. When anger, carelessness, depression, mental illness, alcohol, etc. figure in, shootings can happen. I will not work to change those laws. They are what they are. If people screw up, they will be jailed or someone might get killed or injured. That would be a shame. If too many of those situations happen, some people might just begin to question the wisdom of loaded guns in public places. So, for you and others who carry, please be careful. Accidents and intentional shootings have and could happen. I would hate to see anything happen to you or someone you love. That's all. Dear japete, you made a great point when you said, "a simple argument can turn to tragedy if a gun is readily available." Sevesteen, I've recently come to realize the claim you made about CCW guys being less a problem than other groups is totally bogus. John Lott came out with some stats pertaining to Florida that were so obviously skewed that it gave me an idea. Here's where we talked about it in case you haven't seen it. Basically, I figure there must me many instances of crimes being committed in which no one checks to see if the perpetrator has a licence or not. The less serious the crime the greater the chances of this happening. Who's in charge of checking? No one. Unless it comes up, sometimes by accident, there's no way to know. In Georgia there was evidence they don't cross reference anything. But those numbers Lott came up with are enough to inspire incredulity, 167 out of 1.8 million. Thank you, Mike B. for your reasoned comments. I have looked at your blog and noticed that you have had to say the same things I have to the commenters. They call names, they insinuate that you are something you are not. They insist, no, demand, that you answer all of their provocative questions and if you don't answer the way they want, they attack you for the answers and then demand more. I am interested to see that Mike W. and Bob S. are also commenting on your blog. They must search out anybody who dares to differ and then start harrassing and intimidating with the hope they will wear you down. That's not happening with me and I hope it won't with you. Keep those posts coming. They are the very loud minority whose views have become so extreme as to defy reason. One question please,If so many are for gun control why did THE JOYCE FOUNDATION stop funding the "Freedom States Alliance"? Heroin and Cocaine cannot even be manufactured in the U.S. it does however arrive by the tons every day the VPC,Brady Center ect. want to ban most people from owning guns,so we can look forward to drug dealers having a new poroduct to import. Ridiculous and untrue. You are new here, Larry. You may have missed my saying over and over and over again that I and the people who work with me on this issue don't want your guns. Imagine me coming to your door demanding your guns....not gonna happen. Get off of this theme and find a way to help reduce gun deaths and injuries. That's what I'm all about. You want ways to reduce gun deaths and injuries, ok? How about locking up violent criminals and keeping them there for the entire sentence? How reducing the poverty that affects millions of people? While poverty isn't a excuse for violent crime, it has more positive correlation then "gun" availability? How about working on education? Jobs? Stabilizing and increasing the number of two parent family homes? All these things can be done to reduce violent crime and not infringe upon people's rights. If you are so focused on reducing 'gun death and injury' why not work on the positive? Why just focus on things that will increase the cost to own firearms, decrease the availability of firearms to the law abiding and NOT affect the criminals. Beside, any gun ban in the US would have to follow the Australian model. Both the US and Australian Constitutions prevent the taking of property without just compensation. There would be a "buy back" purchase and destruction of all banned firearms. The Australian buyback was predicted to cost $A500 million, but the actual cost was far more than that. Think of how much a US gun buyback would cost! Bob- I have addressed the things you talked about, above. Move on and bring up some real things that can be done to reduce gun injuries and deaths before they happen!